A great, affordable tug toy in a convenient pocket size. 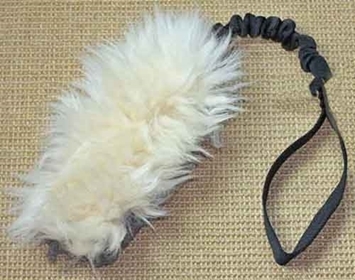 The sheepskin tug is durable and provides your dog with plenty of bite and scent stimulation. 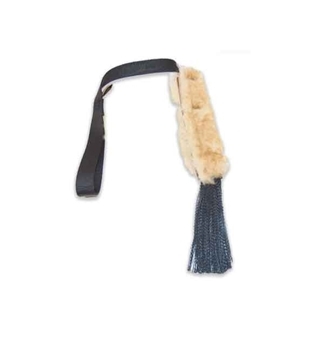 The handle is made with super soft webbing, so it's easy on your hands. 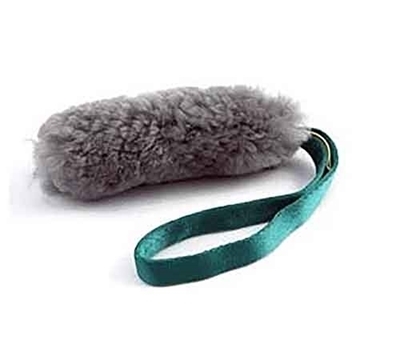 Your dog will love this fur tug toy so much, you'll want to take it wherever you go, and, because of its small size, you really can! Washing is not recommended for this toy because it may remove the scent.